The company, Palm Beach Tan, is the nation’s largest indoor tanning chain. The main purpose is to provide natural healthy looking tans using the state-of-the-art technology to customers who can’t make the trip to the beach to get some sun. The Texas based business was founded in 1990 and has since built a 20-year reputation as a leader in the indoor tanning industry. Thanks to its many franchises, there are already more than 400 branches open in 28 states and they have served more than 1 million customers and counting. Their customer interaction, management practices, and commitment to high quality services are what propelled the company to its high rank in the tanning industry. In fact, they have started to acquire other businesses, like Solar Dimensions, to further expand their brand. Not only are the customers happy with the company, their employees are also well taken care of. Palm Beach Inc. offers a comprehensive package for all those who take on full-time positions. These include medical, dental, vision, 401k, and flexible spending. Apart from getting product discounts and free tanning, there is also a great work environment. Many employees like working for the company because it provides an environment where there is always something new to learn. Apart from learning skills like attention to details, learning how to interact with customers becomes second nature. The fast-paced environment creates room for growth. How old do you have to be to work at Palm Beach Tan? There are a lot of great jobs available at the franchises across the country. However, it is a basic requirement that you have to be at least 18 years old in order to apply for a job in Palm Beach Tan. The company is always looking for more people to join the family and immerse in the beauty industry and the tanning business. There are a number of different career options available with specific skill sets that are needed to keep the salons in the best shape possible. Manager-in-Training: The manager-in-training position requires someone who is outgoing, motivated, and driven to build a career in the beauty business. A comprehensive training program will be conducted to prepare for the position. Apart from leading the store as a whole, other requirements also include recruitment, meeting and analyzing sales goals, task assignment, and taking care of the finances. It is preferred to have one year supervisory experience. Customer Representative: A Customer service representative is in charge of looking after the salon and looking after customers. They are the point person of the salons and keep the place running at peak conditions. Their responsibility is to maintain salon cleanliness, sanitizing equipment, cleaning the salon, setting up the tanning rooms, and assisting the customers as needed. Tanning Consultant: The tanning consultant position requires energetic and positive people to represent the company. The main responsibility is to meet people and achieve sales goals. Also, properly educating customers and consulting with them is part of the job. While the company is open to hire newcomers, experience in retail and customer service is preferred. Facilities Technician: The facilities technician provides the general maintenance of the salon. General carpentry and repair work is the main responsibilities of the job. There will also be some training provided when it comes to maintaining tanning and spray booths. Those interested in the job need a driver’s license, as well as two years experience with maintenance and constructions. Runner: Every business needs as much as help as possible and the runners make sure to do the job. Most of the tasks are related to hygiene and cleaning. They will be responsible for equipment sanitation, cleaning duties, and setting up tanning rooms. Having an outgoing and energetic disposition is important because assisting customers is part of the job. You can apply to the company by clicking the job position link in the “careers” section of the website. There are a lot of opening in the different states across the country. You can opt to filter your preferred state by typing it in the search bar at the top or on the pop up window. Some are hiring for stores that are already in business, and others are for future branches. Upon clicking a job opening, it will be redirected to the full job description. On the same window you can apply either by applying on the website itself, or using an Indeed account. All the requirements needed to apply will be stated there. Make sure to check all the job responsibilities before applying. It’s good to do some research and double check if you are able to do the job. Once you’ve decided, the next step is to prepare all the necessary requirements for the application. It is important to update your resume before sending it. Format should be carefully looked at so that the resume is easy to read for the one who will be going through it. It is also good to include soft skills and other useful skills for reference. While making a resume that caters to the job description is ideal, all the information must be factual and honest. After passing he application process, the interview is the next step. Being relaxed and confident is the best way to project yourself when being questioned. This part of the hiring process is to see if you’re perfect for the position, as well as seeing what kind of personality you have. The tanning culture is still popular, as many people want to achieve a sun-kissed look all year round. Trips to the beach may be expensive so the next best thing to achieve the tan look is by going to a tanning salon. The healthy glow is always going to be in and Palm Beach Tan makes it easier for customer to achieve it. The latest news is that the company recently acquired the Solar Dimensions Salons. 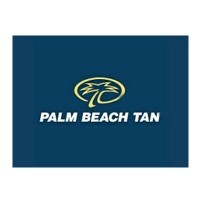 After more than 20 years in the business, the owners of Solar Dimensions have decided to team up with Palm Beach Tan. With this, the company’s footprint in the Atlanta market has doubled in size. No doubt the company is best known for providing its customers a healthy tan with its high quality tanning services. Customers can choose between getting a spray tan and lying in a tanning bed. Either option will achieve the same natural results. 1 How old do you have to be to work at Palm Beach Tan?